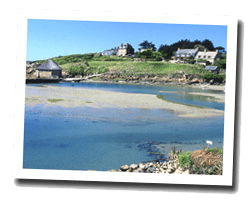 First classified natural site in France, Bréhat archipelago is known for its mild climate. This is one of the most beautiful sites in Brittany. Experience the peace of a life without cars and walks along small flowered paths. At the seaside you can find a sandy beach in the south of the main island and small coves along the rocky coastline. 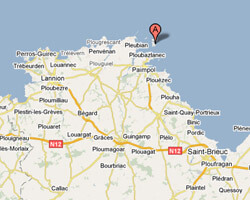 Access by boat to the main island by the Arcouest cape or from Saint-Quay-Portrieux. In Bréhat enjoy a seaview holiday rental. Fishermen house 200m2 facing south and sea, surrounded by a garden of 2000 m2. Close to the harbor, shops and beaches. Small sandy beaches 20m. 6 Bedroom(s), 5 double bed(s). short stays possibility.